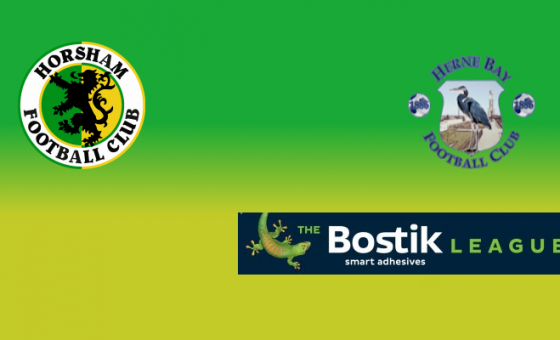 Horsham supporters will need to add another date to this season’s fixtures calendar after their side guaranteed their place in the end of season play-offs with an entertaining victory away to Herne Bay this afternoon. Leading scorer Chris Smith got the Hornets off to a flying start, volleying home after just seven minutes, but the lead lasted just ten minutes before Bradley Schafer levelled the scores. Lee Harding restored our advantage, seven minutes before half-time, only for parity to return within ten minutes of the second half, courtesy of Tahjae Anderson. The winner came from the boot of substitute Kieran Lavery, who had only been on the field a matter of minutes before slotting the ball home to secure the victory. The win, coupled with the failure of fellow promotion hopefuls Hastings, Ashford and Haywards Heath to collect more than a single point between them, means Horsham hold a five point lead over third spot and every chance of securing home advantage in the play-off semi-final, due to take place on Monday 29th April. 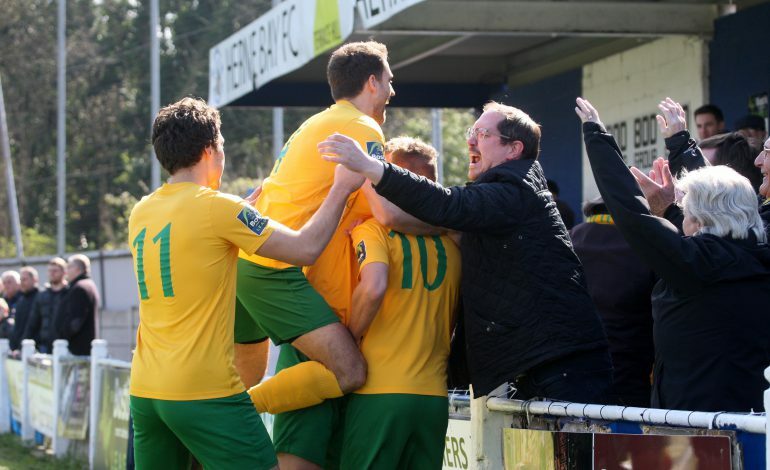 Meanwhile, at Hayes Lane, Cray Wanderers secured the Bostik League South East Division title with a 3-1 success over Ashford United. Our congratulations go to manager Tony Russell and his squad on an excellent campaign. The club is grateful to Jim Bravery for providing the match report that, together with the usual excellent images from John Lines, can be found at the Match Centre below.